READING STRATEGY: UNDERSTANDING MICHAEL PORTER | StratejiCo. To understand strategy and apply it into our business life, we invite you to review the most valuable strategy books with us. 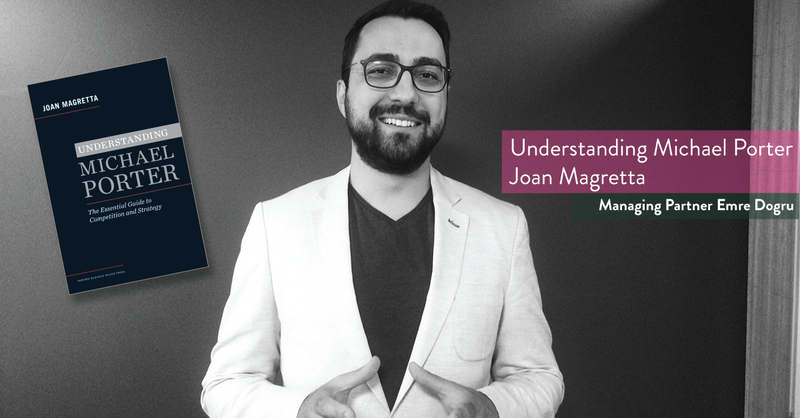 Our second book is Understanding Michael Porter: an illuminating guide to Michael Porter's ever used models and frameworks, written by Joan Magretta. Hunting small game wasn't Michael Porter's big secret to be a giant in the field of competition and strategy. Very early in his career, he went after the single biggest question in business: "Why are some companies more profitable than others?" One big question led to another. So came Porter's work. Porter's is the rare intellect that successfully bridges the divide between economic theory and business practice. In the oft-told joke, one economist says to another, "Sure, it works in reality. But will it work in theory?" Porter's work endures because it works in both realms, theory and practice. Another trademark of Porter's work is that in order to understand what really happens in competition, he created what he calls "frameworks". 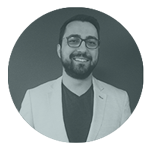 In his own words, "My frameworks provide a set of logical relationships that are really fundamental. They're like physics-if you're going to have higher profitability, you've got to have a higher price or a lower cost. That industry competition is driven by the five forces. That the firm is a collection of activities. These frameworks provide basic, fundamental, and I believe unchangeable relationships about the 'matter' of competition." 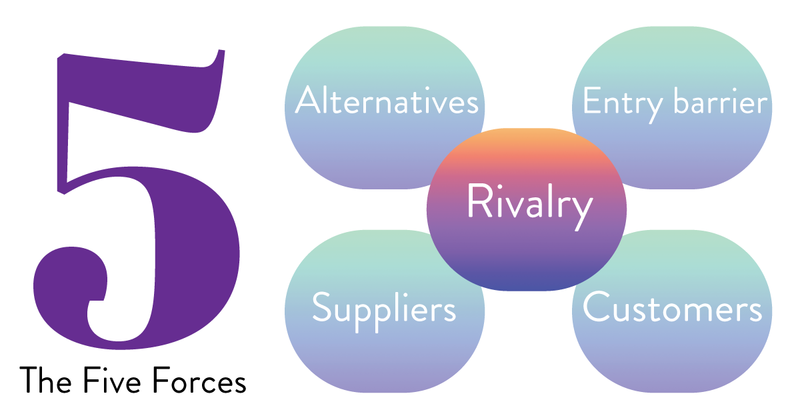 The five forces -the intensity of rivalry among existing competitors, the bargaining power of buyers (the industry's customers), the bargaining power of suppliers, the threat of substitutes, and the threat of new entrants- determine the industry's structure, an important concept that may sound academic but is not. The five forces zero in on the competition you face and gives you the baseline for measuring superior performance. It explains the industry's average prices and costs, and therefore the average industry profitability you're trying to beat. Each of the five forces has a clear, direct and predictable relationship to industry profitability. Here's the general rule: the more powerful the force, the more pressure it will put on prices and costs or both, and therefore the less attractive the industry will be to its incumbents. If you have powerful buyers, they will use their clout to force prices down. They may also demand that you put more value into the product or service. In either case, industry profitability will be lower because customers will capture more of the value for themselves. If you have powerful suppliers, they will use their negotiating leverage to charge higher prices or to insist on more favorable terms. In either case, industry profitability will be lower because suppliers will capture more of the value for themselves. Substitutes -products or services that meet the same basic need as the industry's product in a different way- put a cap on industry profitability. 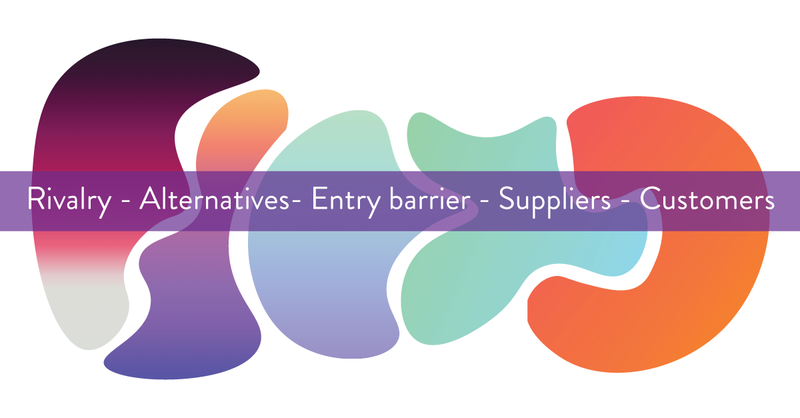 Entry barriers protect an industry from newcomers who would add new capacity and seek to gain market share. The threat of entry dampens profitability in two ways. It caps prices, because higher industry prices would only make entry more attractive for newcomers. When rivalry among the current competitors is more intense, profitability will be lower. Incumbents will compete away the value they create by passing it onto buyers in lower prices or dissipating it in higher costs of competing. Price competition, Porter warns, is the most damaging form of rivalry. The more rivalry is based on price, the more you are engaged in competing to be the best.